Gord Stellick: Sportsnet reports that Simon Gagne in 2005-06 was the last player to score 15 goals in his first 14 games of the regular season. Auston Matthews scored his 15th in 14 games last night. NHL Public Relations: Arizona Coyotes shorthanded stats so far this season. Jeffrey Sanders: The Coyotes are the 7th team in the history of the NHL to score 11 shorthanded goals in a teams first 26 games start a season. The 2008-09 Flyers were the last team to reach that feat. 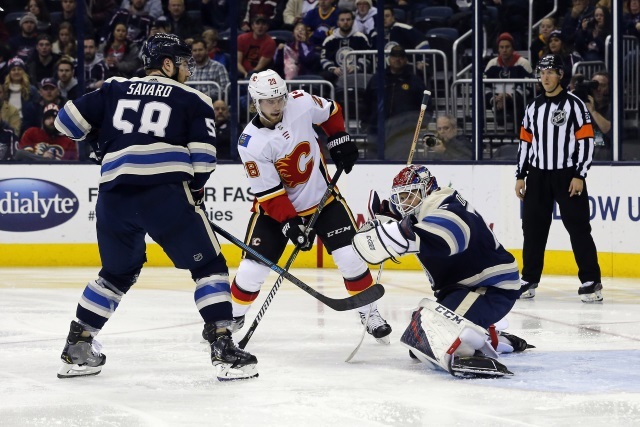 Stats Centre: The Calgary Flames and Columbus Blue Jackets combined for 15 goals last night – a 9-6 Flames win. It was the seventh time in the past 20 seasons that teams combined for at least 15 goals. Brian Hedger: Last night was the third time in the Blue Jackets history that they’ve allowed nine goals in a game. That is tied for the second most ever. The Blue Jackets have one 10 goals against game, a 10-2 loss to the Sharks Mar. 30, 2002.